When it comes to gambling in football, this is a subject that is very sensible and controversial as many players and even officials in the sport have done it. Some have been caught while others haven’t but nonetheless, strict rules have been implemented in order to restrict any activity that is related or have to do with gambling. Claudio Ranieri has now become the favorite to get sacked by the bookmakers. Indeed the poor form of Leicester City and their proximity with the relegation zone appears to be too much, and many soccer betting sites have placed Ranieri as their favorite. Chelsea have a tough London derby against Crystal Palace this weekend as they hope to set a new club record of 11 successive victories in one campaign. Even though it will be against a team that has conceded a large number of goals and lost 21 games in 2016, bookmakers are expecting it to be a tough game for Antonio Conte’s team nonetheless. Chelsea have an impressive record away at Selhurst Park, which should especially give the table leaders a lot of confidence. However, they would have seen Crystal Palace put in a shift in the 2-1 loss against Manchester United in a few days ago. Former Rangers midfielder Joey Barton has been given a one-match ban after having been found guilty of betting on football matches. Barton is currently without a club after his contract with Rangers was terminated in early November. He will have to face the ban if ever he signs for a new club in January. The Rangers management has stated that they were disappointed with the way things have happened as they were hoping that Joey Barton would have been an asset for the team. England are believed to be the favourites when they meet with Spain in a friendly match on Tuesday. Both teams are expected to slug it out on Tuesday night with the Three Lions hosting the much-awaited game at Wembley Stadium. In the last decade Spain have been a major force in international football. However, they have been failing to live up to expectations in the last few years. In the last two major international tournaments – the 2014 World Cup in Brazil and the Euro 2016 in France – Spain have disappointed many. Soccer betting has been on the rise in China and in the neighboring countries. 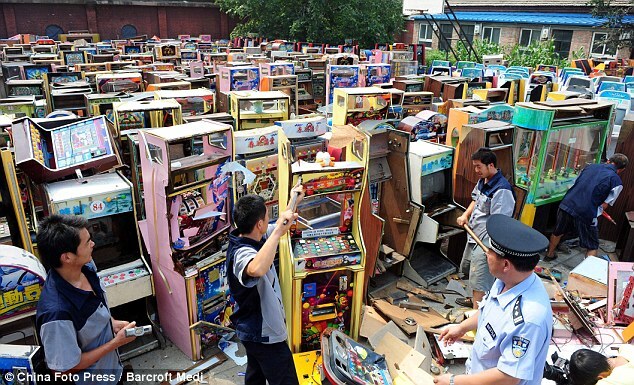 The Chinese police are monitoring the situation closely as the gamblers make use of new technologies to escape the vigilance of the police. Just a few weeks ago, Pep Guardiola was one of the talking points in the Premier League after his Manchester City team had made a stunning start to the league campaign. The club created a new record for the most number of consecutive wins, but they now have fallen into the darker periods. Even now, Guardiola continues to create a lot of debate but for different reasons. City have failed to win in the last four matches of all competitions and also includes a thrashing at the hands of Barcelona. Even during this difficult run, Guardiola has persisted with his techniques of playing out from the back and keeping the ball. 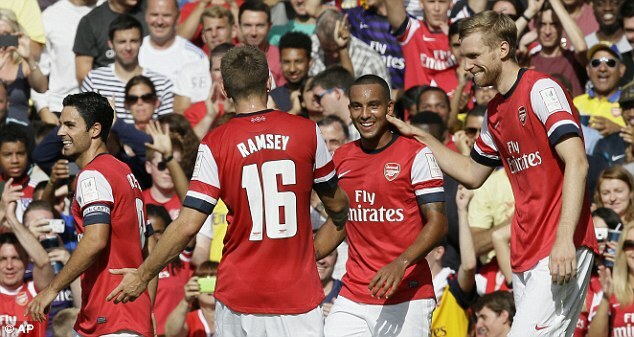 English Premier League side Arsenal FC have partnered with 12Bet according to reports. The deal with the English giant is reported to be a long one as 12Bet becomes the official betting partner of the Gunners in Asia. The English Premier League is set to begin this weekend with the first round of games. Jamie Redknapp joined Soccer Saturday pundits to pick out likely clubs to lose out in the race come May next year when the season ends. The Soccer Saturday pundits are Phil Thompson, Paul Merson, Charlie Nicholas, and Matt Le Tissier. Choosing a casino provider can be a confusing affair: Do you go with a brand name that you recognise or do you get involved with an operator who you’ve seen advertise heavily on national TV? For most of us it can be a tough choice but one way to filter through the many options is to look at the welcome bonuses.